It is more than six months since I last visited Dublin Castle and I was a bit surprised by the fact that the lower castle yard looked different. Wednesday 19th December PRESS RELEASE Minister of State Brian Hayes TD today officially announced the completion of the 'Printworks Conference Centre' in the Stamping Building, Dublin Castle. 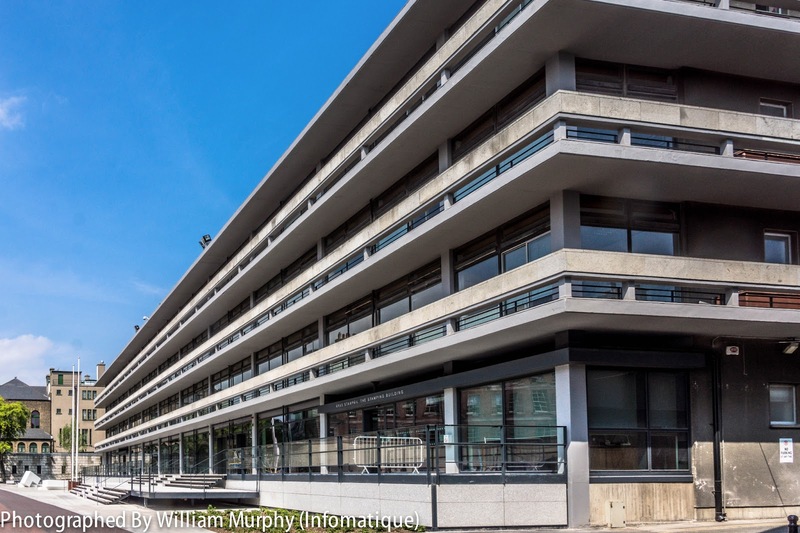 This building was previously occupied by the Mahon Tribunal and has been refurbished to act as a major conference space for use during Ireland’s Presidency of the EU in 2013. 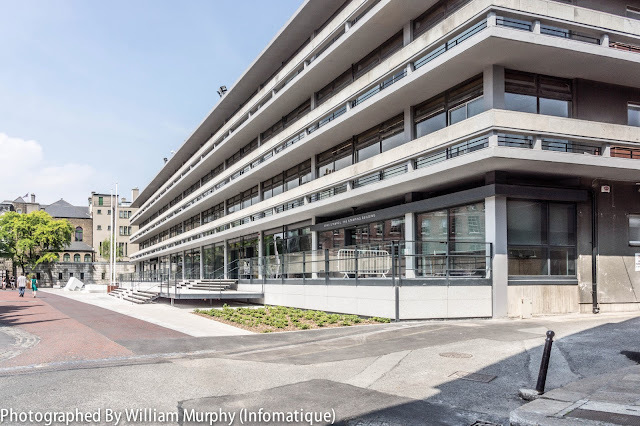 The Minister said, "It gives me great pleasure to see this iconic building refurbished to such a high standard by the OPW and ready to play an important part in Ireland's EU Presidency. The works undertaken included the provision of a new podium and steps to the front of the Stamping Building, modifications to the internal spaces and the refurbishment of the old printing works for use as a state-of-the-art conference facility. I am glad that this project is both on time and on budget. It is undoubtedly an investment not just for the Presidency, but for the future of Dublin Castle." The Minister added "I am also delighted to be here today to reaffirm the commitment of Dublin Castle and OPW in implementing Sustainable Event Management and Environmental Management practices; within the venue, recycling facilities, waste separation and energy efficient lighting and equipment will be used during the Presidency. Water consumption will also be minimised through the use of monitors and sensors, with filtered tap water only being provided during meetings and in all catering."